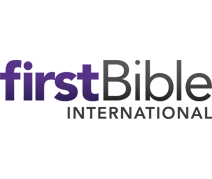 firstBible International is a Bible Translating and Publishing Ministry with a Three-Fold Goal: Bible Publishing, National Training, and Church Planting. No Work is more Strategic. No Task is more Urgent. No Message is more Relevant. No Goal is more Attainable. Thank you for your donation supporting firstBible International! Bearing Precious Seed is a local church Scripture printing ministry established in 1973. BPS/Seedline is a means for the local church to have hands on involvement with Bible publishing for the world. Missions trip opportunities involving the assembling of God's Word and distributing it to the lost in Mexico and the Navajo Nation.